I posted a photo of this fudge I created on my Instagram and the reaction I got was awesome, I said I would have the recipe up on my blog soon and today is that day. 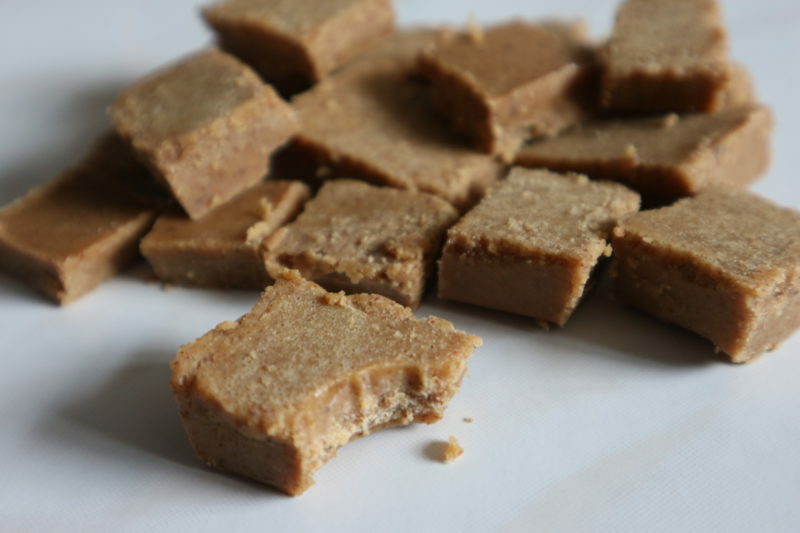 I have finally sat down to write up the amazingly yummy fudge recipe for you guys to try for yourselves. I mentioned there were only 4 ingredients used in this recipe and it only took about 40 minutes to create (but time will depend on your fridge.) This recipe cannot get any easier than that. 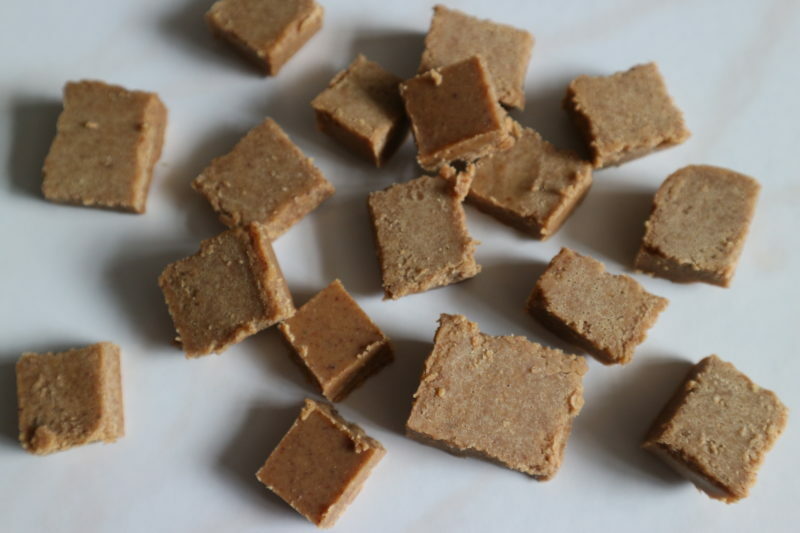 This fudge is a great vegan alternative to the sugar latent fudges you get in grocery stores; I didn’t add any sugar to this recipe as I wanted this recipe to be as natural as possible. Only using the natural sweetness from the maple syrup and the coconut oil. If you are trying to reduce the amount of sugars in your diet but find it difficult to give up the sweets then I do believe you should give this recipe a try. I always aim to keep the recipes easy for anyone to re-create because I know how difficult cooking can be, I was a terrible chef & baker before I went vegan and discovered a whole new range of foods. Therefore I keep everything relatively easy so that anyone can become a wonderful chef. 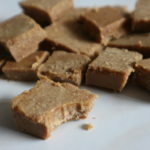 I chose to use almond butter in this fudge, as it is considered to be far more healthier than the famous peanut butter that everyone loves, for me I am not a fan. Almond butter is a lot milder in taste than peanut butter, this is why I prefer almond butter. Along with the taste it has a range of health benefits so I used this nut butter as a way to incorporate the nutrients you need in your diet; magnesium, manganese, vitamin B2 and potassium these help to boost heart health promoting the flow of blood and oxygen and regulating blood pressure along with lowering cholesterol and boosting energy. It is also stated that eating almond butter can help stabilise blood sugar levels making it good for diabetes as they won’t get a sharp increase in their sugar levels. What’s not to love about this amazing nut butter? I simply added all my ingredients to a saucepan on a low heat and continuously whisked the ingredients until they formed into a smooth mixture, once that happened (after about 5-8minutes) I added the mixture straight to a silicone tray and placed it into the fridge to harden. This can really depend on the strength of your fridge, for me the mixture took about 35 minutes to become solid, but for you it took take longer don’t worry if that happens you didn’t do anything wrong just be patient and the fudge will form. I love to cut my fudge into different sizes; because for me I love it when the food looks homemade. Is that just me? haha. Ok anyway you probably want the recipe already. 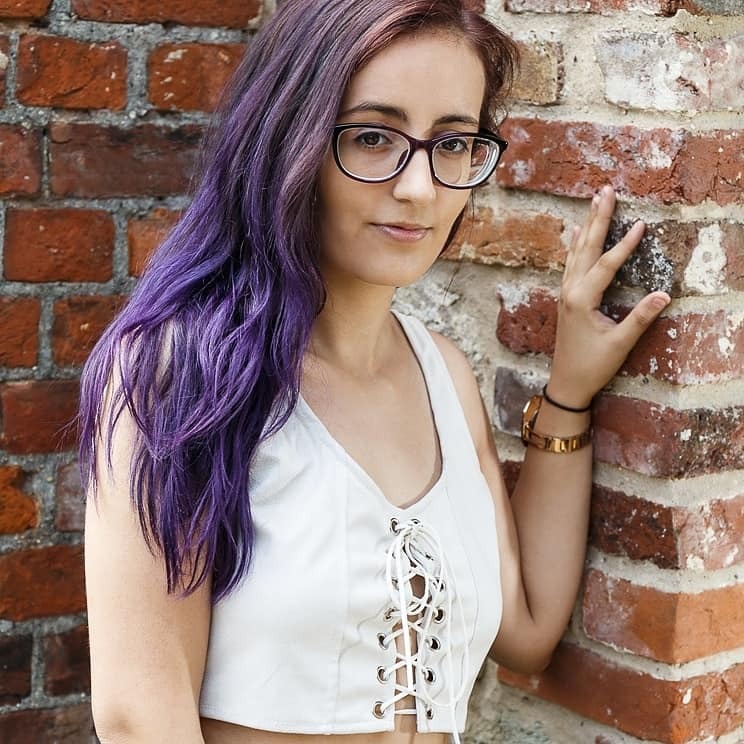 Well here you go, enjoy and I can’t wait to see your recreations. This fudge is both healthy and scrumptious. Packed with protein, healthy fats and all round goodness. Yuuuuuuuuuuummmmmmmmmmmmm!!!!! That looks heavenly!!! Got a huge fudge craving but no ingredients, boo!!!!! !